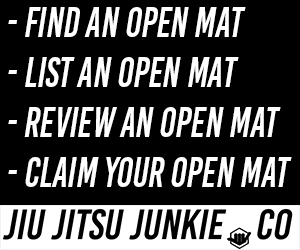 <em>This post was originally featured on the now defunct blog Jiu-Jitsu Laboratory. In the days after the 2013 Pan Jiu Jitsu Championships, pictures of the winner of the middle-weight division were all over some of the biggest websites and news programs in the United States. Appearances on ABC’s Good Morning America and CBS’s Inside Edition soon followed. Rumours of a L’Oreal hair-care sponsorship were bandied about. Okay, that last one isn’t technically true, but it was a bizarre state of affairs that a Jiu Jitsu athlete would reap so much attention. Was the sport finally breaking through to the mainstream? It would be nice if this was a result of recognition for his win at the Pans. But Clark Gracie’s flirtation with popular recognition stemmed from an unrelated photograph of Gracie applying an omoplata to Ken Primola during the 2012 New York Open that made the rounds on Reddit and Facebook. The Jiu Jitsu Lab got in contact of Clark to ask him about his new-found fame, the pressure of his family name and his signature omoplata game. And Clark Gracie is very comfortable with the omoplata. In the highlight video that accompanies this article, you’ll see him apply the technique from a variety of positions, most commonly the closed guard and the leg-lasso variation of the spider guard. The Jiu Jitsu Lab is interested in studying the omoplata being the main attack in a high-level competition game, so it seemed natural to focus on Clark. Gracie utilizes more than his omoplata, however. He also has a great footlock and other attacks. But the omoplata has been an instrumental part of his success and what we’re choosing to focus on in this article. To set up his attacks, there’s two main positions Clark seems to prefer. For example, he’ll go to closed guard against opponents that he knows have a dangerous passing game. From this position he often uses the omoplata as his opponent stands to break the position, getting the cross-grip on the sleeve and shooting his hips high to secure the leg triangle on the shoulder. You’ll see this sequence play out after he pulls a tight closed guard, such as in his first meeting with Andre Galvao at the 2011 Abu Dhabi Trials. Alternatively, Clark can be seen pulling a looser open guard, working for the leg lasso. The lasso is a phenomenal position that is re-emerging in the competition scene. It seemed to disappear as the deep half guard craze swept in, followed by the recent de la Riva fanaticism. During this time Gracie has been quietly honing his attacks from the lasso, including a rolling omoplata that has allowed him to finish some tough opponents. Clark isn’t the only one with a focused competition game. In his division at the 2013 Pans alone, Leandro Lo, DJ Jackson, Otávio Souza and cousin Kayron Gracie all have highly specific and predictable games that they are able to impose on their opponents. Instead of getting caught up in developing a strategy for each opponent, Clark suggests sticking to your game, “I usually just go in to fight and see what my instincts tell me to do. Sometimes I go in with a certain strategy, but regardless I think it’s better to know what you want and go for what you are good at to be able to win the match.” This approach makes a great deal of sense. You’re going to be best at what you drill most frequently and what feels most comfortable for you in competition. Often when a position isn’t working right away, however, it’s tempting to deviate from your game. A great example of this is in the final match of the middle weight division at this year’s Pans. In what was arguably one of the best performances of the tournament, Clark Gracie managed to come back against Marcelo Mafra to win Gold. Going into the final minute of the match, Gracie was down by two points following a sweep. With Mafra working diligently to do nothing, Clark was working hard to pass Mafra’s guard. I asked Clark to describe what happened next. “At the moment that I was passing his guard, I realized that I would have been able to make points and win the fight there so when I went to get one last grip to secure the position, Marcelo turned over and tried to come to the top. From there my instincts kicked in and I just reacted and found myself in the omoplata.” Clark nearly had the pass, which incidentally would have given him the win, but in a flash of intuition he caught the omoplata as Mafra attempted last-ditch dive for a double leg sweep. From the omoplata Clark transitioned to a finishing position that involves underhooking the far arm and passing the collar grip to the awaiting choking hand. It’s a position we’ve seen Clark finish the omoplata in many times, involving both the shoulder lock and the collar choke. It was obvious to Clark that he had the win and allowed himself a “thumbs up” to his coach in celebration. As he pushed an unconscious Marcelo Mafra off of him, Clark ran over to the stands to celebrate his gold medal. The IBJJF recently outlawed such displays, and have disqualified competitors in the past for leaving the mat area in celebration. While not DQ’d, Clark did received a penalty, which did not prevent him from winning the match and appearing on the top of the podium at the second-most prestigious tournament in Jiu Jitsu. But in Jiu Jitsu competition, things haven’t always gone Clark Gracie’s way. The San Diego Abu Dhabi trials specifically have been a difficult competition for Clark. In 2013, he was choked unconscious by newcomer Magid Hage III. Thankfully that photograph wasn’t the one that went viral. And while many people thought that the decision could have gone to Clark in his match with Andre Galvao in 2011 due to his omoplata sweep attempts, he was defeated by referee’s decision that year. The weight restrictions for the Abu Dhabi trials force natural middleweights to compete with heavier opponents such as Galvao. In the same tournament in 2012 Clark again attempted an omoplata sweep against Galvao. He lost the arm midway through and came up just holding the leg in a last-ditch attempt to sweep. Galvao nearly took Gracie’s back and ended up passing the guard. About this match, Clark reflects, “I don’t know what I would have done differently, I have been consistently evolving as a competitor and with my physical conditioning, so I may have done things differently. Now that I look back on the two matches, I can see certain techniques that have evolved to be better in my game that I tried to use.” Perhaps he means to refine his constantly evolving omoplata sweep, or other aspects of his game. The omoplata is one of the most versatile techniques in Jiu Jitsu. It can even be considered a position unto itself. There are many entries, from almost every variation of the guard, and even some entries from the top position. Starting with closed guard, the omoplata can be set up on its own or transitioned to from a failed armbar or triangle. As the guard is opened and we transition to positions like spider guard, the leg lasso, and de la Riva guard, the omoplata is there – ready to take a bite out of our opponent’s shoulders should they give the slightest space. Once in the omoplata position, it can be a submission such as the many we’ve seen Clark do, it can be used to sweep the opponent forward or back, or used to transition to other submissions such as back to the triangle or even leglocks. The videos that accompany this article will provide evidence for the positions adaptability. It’s also beneficial in open weight contests, as it positions your opponent’s weight beside you instead of pressuring down on top of you. 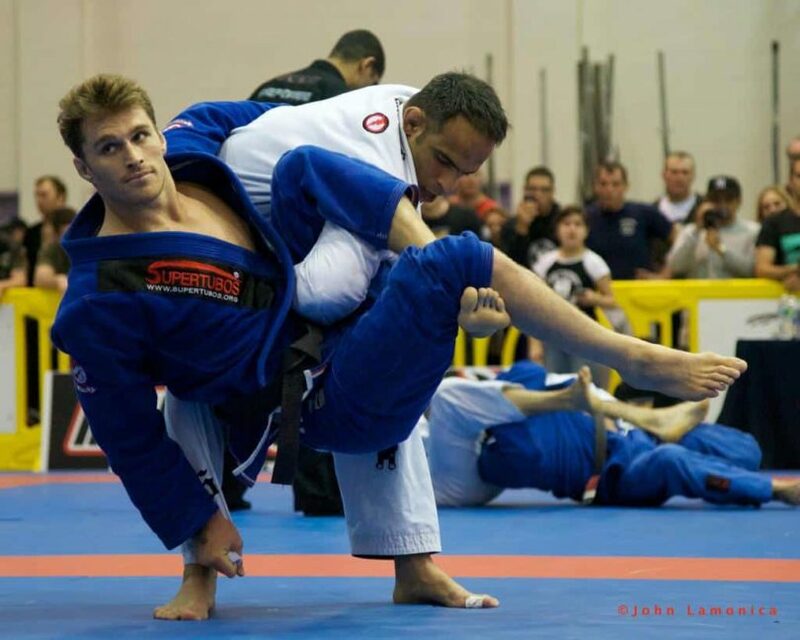 Clark Gracie is one of the most accomplished of the members of his family actively competing. As a Gracie, however, even loses against an all-time great like Andre Galvao, tend to sting more when the pressure of the Gracie name make people judge you more by the accomplishments of the champions that came before you than as an individual competitor. While most of us don’t have to face that type of scrutiny, as we get better in Jiu Jitsu there is increased pressure that we perform up to the expectations of our teammates, coaches, and most of all, ourselves. The best way to achieve to your full potential is to put yourself mentally in the same place as when you train. This takes a great deal of experience and is something with which many of us still struggle.